I was so nervous that first time I had a big workshop. 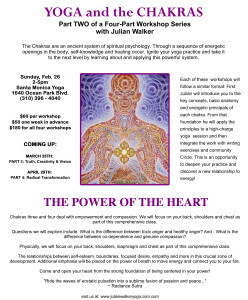 Driving to the studio with my notes on the passenger seat, ready to give a presentation on the chakra system as part of a 3 hour workshop I had created, crafted, promoted with fliers, and now was set to deliver. 40+ people smiling, excited…. It went beautifully, and we had a closing circle at the end filled with appreciation and love. It was so fulfilling to share something I had created that was meaningful and unique to me and to find the community I had been serving in my yoga classes so enthusiastic and interested. It was also a wild realization when I discovered that for this 3 hour session, I was to be paid over $1500. Wow —$500 an hour?! Well, not quite, if we’re honest about the amount of time that went into creating, promoting and preparing….. But still. 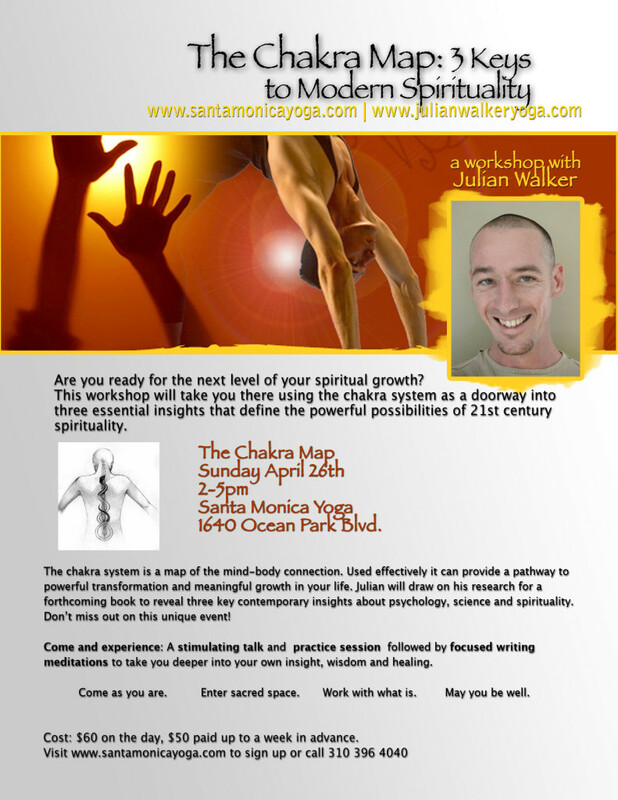 Offering workshops is a huge step forward for yoga teachers. This is true on multiple levels: self-development, connection with community, expressing your vision, and getting well-paid. By now, you probably know I want to support you in living your dreams, being ambitious, offering beneficial services, and earning the kind of living you deserve. Some pockets of the yoga community find talking about money and ambition taboo —they would rather pretend that they are not in business and don’t have bills to pay…. But we all know this is not true. It is also not realistic to think that anyone can jump right in to having full workshops and making excellent money —it’s a process, like anything else. But I can guarantee you this: if you never start, you’ll never get there! This is going to be a group of students most likely to support your first workshop —which will be an extension, a more in-depth version, of what they are already getting from you in your classes. So if you’re obsessed with arm balances and conquering fear —share that in your classes, find the students who want to take that journey with you and are inspired by the idea and open to the experience. If you are lit up by poetry or neuroscience, or how yoga activates creativity, supports healthier lifestyle choices, or protects and heals the low back —talk about this, share it in your classes, speak directly to the students that are on the same page and find benefit in what you are offering. Instead of trying to please everyone, cultivate that sweet spot of overlap between what you really enjoy and what your students find beneficial and meaningful. The classes may be smaller at first, but they will grow as those who are really nourished by your authentic expression keep showing up. 2. 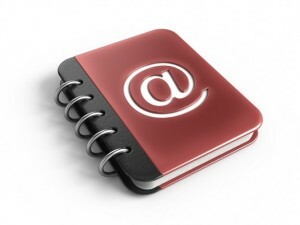 Build your email list from the start. Just bring a little clipboard with pen and paper to each class (I actually put a folded over piece of paper into a poetry book I always take to class for this purpose, and grab a pen from the front desk each time) and get comfortable putting it out at the end of each class and inviting people to join your list. Stay in touch with everyone who has ever taken your class and enjoyed it enough to want to join your list. Seems like a no-brainer, but a lot of teachers don’t do this! This list will be a tremendous resource for you moving forward, and it will allow you to not only share more of your personality, ideas and interests with your slowly growing student base, but also to feel them out for what types of workshops they may be interested in down the line. Of course, once you have started to create your workshop and have it scheduled, this will be a very effective way to reach out and let everyone who has chosen to join your list know about the workshop and why they might want to join you! I recommend holding off on promoting your first workshop until you have at least 100 people on your email list. Send out an email letting them know you want to hear back about what they are interested in. You can offer a few topics and ask which they would be most likely to sign up for, or just ask them if they have any requests. Mention in your classes that you are excited to be on the verge of offering your first workshop, and that you will have an announcement for them soon about it. You might poll them at the end of class and/or via email about whether a Saturday or Sunday afternoon would work best. Once you have settled on the workshop topic, day, and time, schedule it with the studio with at least 4 months to promote. Meet with the owner or manager to discuss how you can work together to spread the word and position the workshop alongside the studio’s other offerings. a) A flier for the workshop, so you can post it on noticeboards and share at the end of your classes. c) Additional marketing materials, like: a short and simple video invitation you can post to social media, a series of short and sweet emails that each highlight a different aspect of the workshop —these can be linked to blog posts on your website that go into a little more detail and offer free information that will be teasers for the right students to sign up. One of the most effective things to have in place is the early-bird discount for people who commit sooner rather than later and sign up by a certain date —say 20% off the full price for those who sign up by two weeks before the event. You can then organize your communications about the workshop around this early bird date during your first wave, and then around the workshop date itself as it gets closer.